With all the blowing snow we've been having there are big dunes of snow piling up all around our yard. 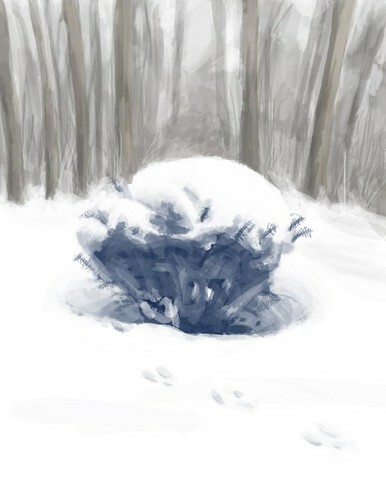 However, when the wind encounters an object like a bush it forms these really interesting voids around the object's base. If I were a fluid dynamics researcher I'm sure I could explain why this happens, but instead I'm an illustrator, so my best guess is bush goblins.